Welcome to In the Loop, WPL's program and events guide. In the Loop contains information about all of the exciting, fun and educational programs happening at WPL for all ages this spring. 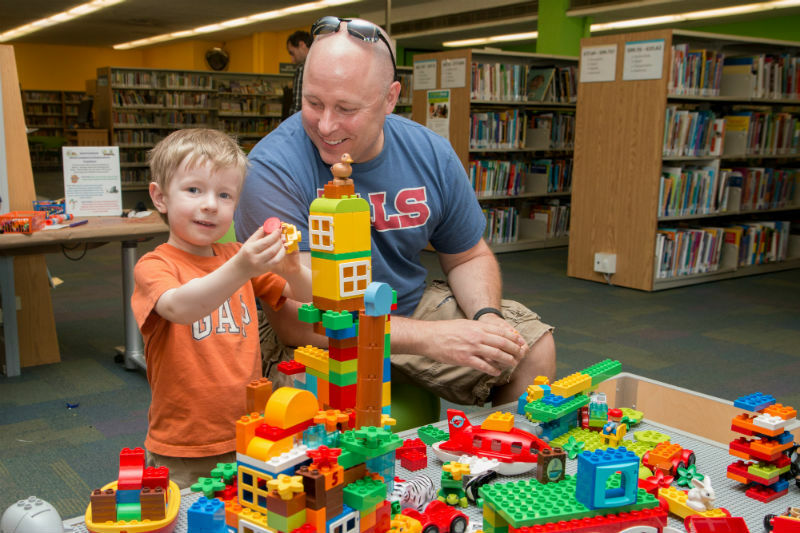 We have 85 free programs and events planned at WPL for April and May 2019. Some programs require registration while others are drop-in. All of this important information is included inside In the Loop. In the Loop also contains a handy at-a-glance calendar to give you an overview of all of the happenings at your library this spring. From Baby Art Time to Ones Exploring Music & Movement, our "Discovering" series for toddlers to Ozobot Coding and learning all about the Monarch Butterfly. Kids can learn about virtual reality, take part in a Quidditch Tournament or a Fort Build-a-thon. There's something fun and educational planned for our smallest and our youngest customers. And don't forget our award-winning Explore Play Learn programs too! This spring we are part of the David Suzuki One Nature Challenge and are hosting a family hiking series in April. There's also a folk music concert with Panzerotti & Sunshine, Mini Comic-Con, Marble Run Tournament and a Community Maker Night. So much happening. So much fun! Come to the John M. Harper Branch for The Amazing Race (Library Edition), an evening of Pictionary or some creative fun at Bad Art Night. We also have exam stress-busters planned including care packages, yoga and relaxing with the St. John Ambulance Therapy Dogs. Where do we begin? You asked for more programs for adults and we have more programs for adults! Make a self-watering vertical garden, learn about loom knitting, etch glass, make your own lotion bars, or have fun at a 90s nostalgia night. Take part in a creative writing course, make your own non-toxic reuseable fabric dryer sheets, explore Airbnbs and vermicomposting.